Note: As per the announcement of the LastPass, who owned Xmarks, the service would be no longer available from may 1, 2018. It is going to be shut down, so here we have some best Xmarks alternatives “similar bookmarking sites” which you can use in absence of Xmarks. Xmarks is an extension (add-on) for the web browsers, support Google Chrome, Mozilla Firefox, and Safari. It is a bookmarking browser extension which helps you in content Synchronization. In simple term, you like any webpage, video or something else so you can save the URL to Xmarks. You can make your bookmark public or private, it will be your choice. 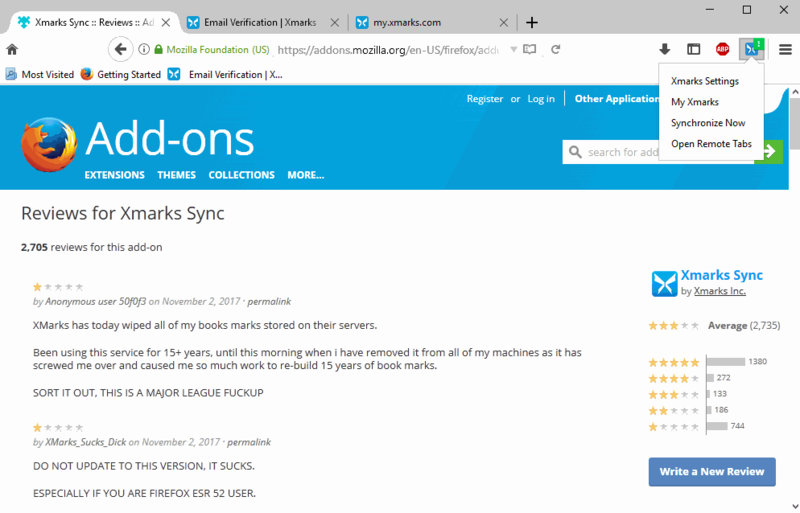 The addon is developed by Foxmarks, which was situated in San Francisco, later they changed the company name from Foxmarks to Xmarks. And It was founded in 2006 then later after 4 years in 2010 LastPass purchased it. It works similar to other bookmarking synchronizers. Make an account and start sync your content. Select anything which you want to delete, to select just click on the item. Then from the menu click delete. Even you can search bookmark, tap on search from the menu and type the term to search. Yes if you are on Delicious and have lots of bookmarks there so you can easily import. But you have to buy this addon (tool), it is not free. Tumblr is basically a microblogging website that also works as a social media platform. Tumblr lets you post multi media content in the form of a short blog. Tumblr lets you follow other users whose…. Meta Filter is a Weblog. A weblog is basically a site pertaining to a particular topic or object, maintained by an individual with daily content update. However, Meta Filter is different in the…. Slashdot is a platform that provides you with proper curated online content. Slashdot goes through the internet to make sense of all the clutter available on the internet and present to you content that…. Mix is basically a site that shows you curated content which you want to see. It can be anything from articles to images to videos and even music. What Mix does is it understands what type of…. Pinboard is a social bookmarking service. A bookmarking service is one that that lets you keep track of your bookmarks. Pinboard does this using tags to categorise them so it’s easy to…. Flipboard is a wonderful site that connects you to stories which are of your interest from around the world. It brings together news sources and social content to help you keep up-to-date…. Growth Hackers is a service that helps you grow your company to new heights. They have programs that bring the executives together and work out problems being faced and how best to go…. DZone is an online community for software developers. It not only acts as an online community for the developers but it also publishes various resources for knowledge. Shared knowledge…. Skloog is a service that lets you bookmark sites for your convenience. Skloog lets you create shortcuts to your favourite sites and it also lets you bookmark pages that you would like to refer…. Instapaper is a service which lets you save things which you find of your interest on the internet. Things which you can save include articles, videos, cooking recipes, song lyrics and…. Listly is a site that helps you create lists. Lists have always been seen as the best way of organising things and Listly helps you with just that. With Listly, you can create lists of different things…. I would also add Bookmark OS to this list. Maybe remove Reddit since that is more about content discovery.